Westpoint Homes is one of Scotland’s most highly-regarded, private home builders in central Scotland. 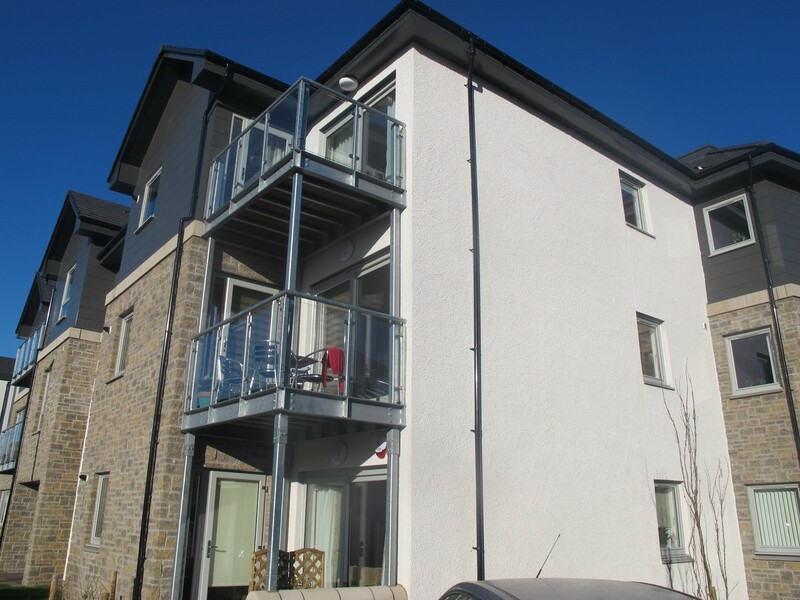 In 2015 Westpoint completed 2 prestigious sites in Edinburgh, one at Colinton Village and another in Corstorphine village using our wet dash system. 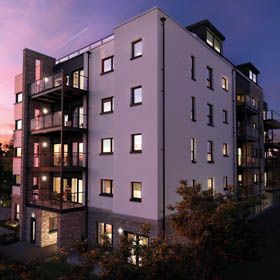 West Mill in the conservation village of Colinton, Edinburgh comprises fourteen luxurious apartments including a stunning top floor penthouse on the banks of the Water of Leith in Colinton Village. Sleek modern materials are combined with the organic feel of stone and timber further enhanced through the contrast achieved through combination of charcoal rain screen panels and White wet dash render. Following on from West Mill our wet dash system featured extensively at the exclusive Corstorphine Gate development in Edinburgh which continued the same theme of combining render, cladding and stone facades with stunning results that ensure the properties look fantastic and stand out amongst the competition.